A couple are increasingly disturbed by the attentions of a figure from the past. "Edgerton may not be new to writing films (see also The Rover) but his directional debut certainly proves that he’s not only talented in front of the camera, but behind it as well." 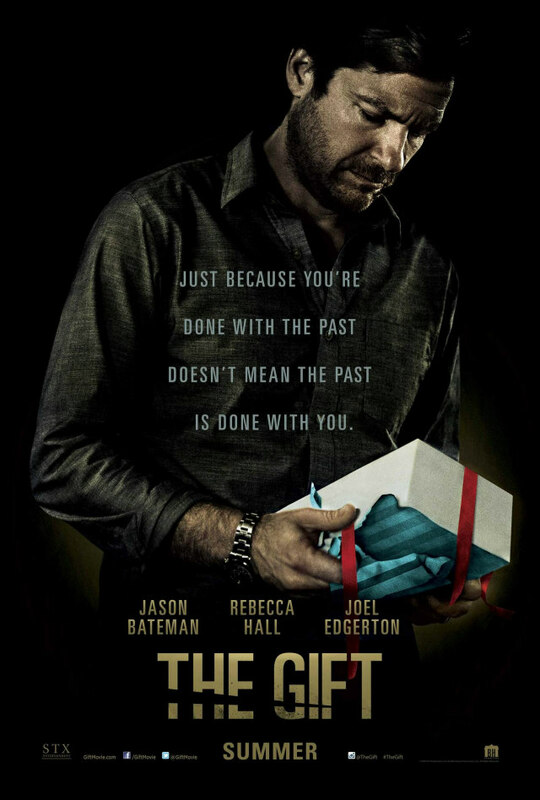 The Gift is an edge of your seat thriller from Australian actor turned director Joel Edgerton (Warrior, Exodus: Gods and Kings) and stars himself, Jason Bateman and Rebecca Hall. The film is about a successful married couple, Simon (Bateman) and Robyn (Hall), who move near Simon’s childhood hometown in California. The couple bumps into Gordo (Edgerton), who went to the same school as Simon. Things start to get weird from here, as Gordo continuously visits their home without invitation to bring the couple a series of random gifts. From the onset, Simon is wary of Gordo, which immerses the viewers into the captivating thrilling story to come. We as an audience are distrustful towards Gordo, and that is down to great writing and exceptional acting; Edgerton manages to get the balance between creepy and endearing right so we are not completely put off his character. At first, Gordo just appears to be a lonely man in need of some company, and that is how Robyn sees him. Unlike her dismissive husband, she’s willing to take a chance on him because she herself is lonely, as we see through the mise-en-scene of her wandering through her empty lifeless house. We as an audience see things from Robyn’s emotional core, so when Robyn starts doubting Gordo – we do too. Gordo’s gestures go from welcoming to obsessive in a short period of time and we start to see the thriller unravel. At the early stages, The Gift seemed slightly predictable. Certain parts of the plot are easily figured out, but the film keeps delivering plot turns that defy genre conventions. Looking back I think this predictable element is intentional – to make the audience think they know where the film is going and then subvert those expectations; this again is down to meticulous writing from Edgerton. 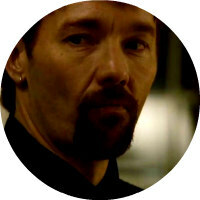 The Gift is greatly paced and will keep cinemagoers hooked all the way through to the gripping end. The film would be nothing without its acting; all three leads are brilliant and it’s great to see Bateman in a more serious role, one that could possibly be the performance of his career. What I love about The Gift is the way it makes you question yourself; it has you asking yourself who the protagonist is and do you agree with them? The film holds the moral that a small lie or tiny gesture can ruin a person’s life forever, which makes for a great film. Edgerton may not be new to writing films (see also The Rover) but his directional debut certainly proves that he’s not only talented in front of the camera, but behind it as well.